This is the best ever sweet potato brownies clean eating recipe. The sweet potatoes add just a little sweetness and make them nice and moist too. My children LOVE sweets, especially my oldest. 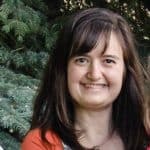 She loves learning to make new recipes and to share with other people. It is one of her favorite ways to show love to others. She will keep eating and eating sugary treats until you take it away from her. 🙂 (I think some of us can definitely relate to this). So, for the sake of my daughter and everyone she shares her treats with, I developed this sweet potato brownies clean eating recipe. This way you get at least one serving of veggies for the day! Sometimes as parents it can be tricky to convince our children why it is important to eat our veggies and fruits and to avoid sugar. So tricks can be handy from time to time. I am not saying these are the healthiest thing and you shouldn’t be eating them obsessively. But come on, they are so good and rich and moist! These brownies are super decadent and so soft. They are topped with a rich ganache frosting with only two ingredients – coconut milk and Clean Eating chocolate chips. I mean, my 12-year-old daughter makes these, so if she can do it, you can do it! To cook a sweet potato I place it in a baking dish and bake it at 400 degrees for about 45 minutes. It is important to make sure that the sweet potato is cooked through all the way before putting into the brownies. You can cut the brownies once they are done into any size you prefer. I cut them into 20-24 pieces so the servings aren’t so large, especially for any children eating them. Preheat the oven to 350 degrees. Coat a 9×13 baking pan with olive oil spray. Place the cooked sweet potato flesh, eggs, coconut oil, honey, and vanilla extract in the base of a food processor. In a mixing bowl, combine the spelt flour, cacao powder, salt, and baking powder. Add to the food processor and process just until combined, scraping down the sides as needed. Scrape the batter into the prepared pan and bake in the preheated oven for 15-17 minutes, or until a toothpick inserted in the center comes out clean. Be careful to not over-bake these, they are best removed when just set. Remove the brownies and let cool completely. In a microwave safe bowl, add the chocolate chips and 1/4 cup of the coconut milk. Whisk the melted chocolate and coconut milk together until smooth. Add in the remaining 1/4 cup coconut milk and whisk until smooth. Let set at room temperature for 30-45 minutes, or until cooled and thickened. 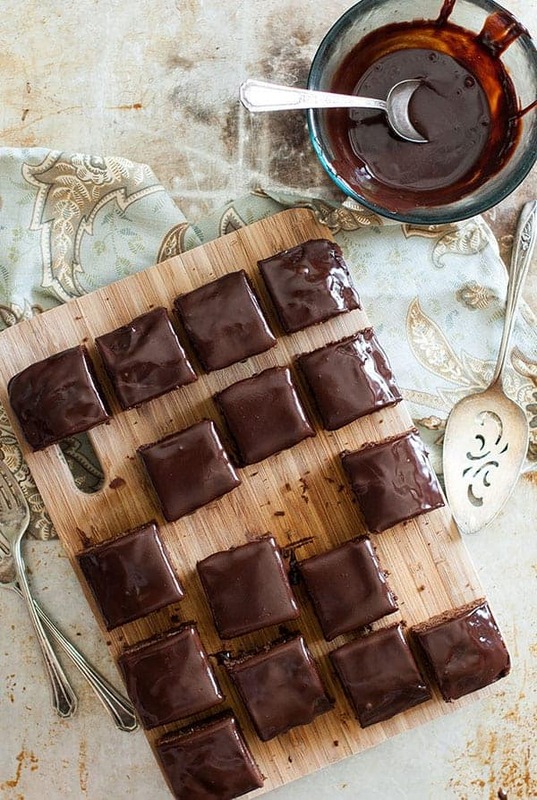 Frost the brownies with the ganache and cut into squares. Store covered at room temperature or in the refrigerator. Previous Post: « 9 Clean Eating Halloween Treats Just for the Fun of It! I think she explains why yams are mistakenly called sweet potatoes in this video. Stupid question here….when you say coconut milk I’m assuming you mean canned? Correct. And there’s a link on the recipe for my favorite brand. I have to say it was on my mind since I first pin it ! I modified a little.. but just a bit:) as I’m always trying ways of baking gluten dairy and sugar free. I used chinoa flour and it worked perfectly as the cake stayed moist and fuggy. And is gluten free. For the eggs you can use the chia seeds eggs (I mix the chia seeds with warm almond milk And let it set 10 min) . My husband was eating it raw! It is delicious ! Wow! Thanks for all the great ideas and tips. I’m always looking for substitutions and adaptation ideas. These sound wonderful! Looking forward to trying them. Why is Spelt flour so ridiculously expensive? I’ve definitely asked myself that before about spelt flour. Although, one way you can save on it is to buy it in 25-pound bags. 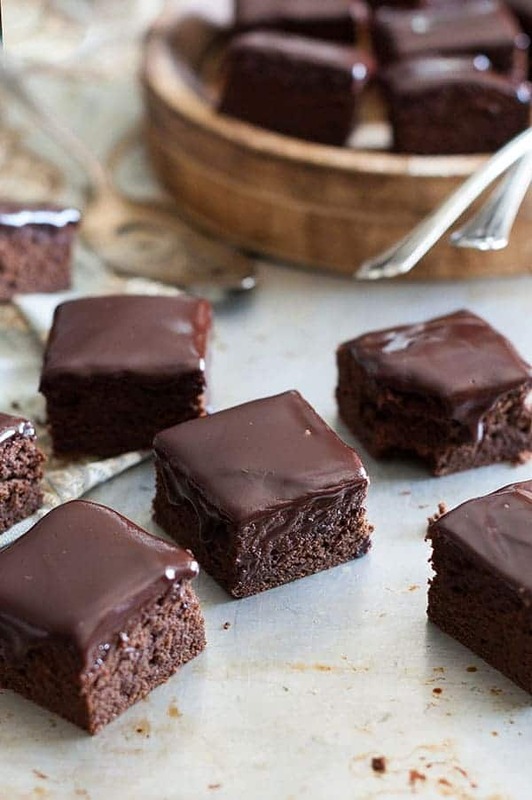 Can I use normal wheat flour or all purpose flour for this sweet potato brownie recipe please? Either should be fine, although you’ll probably have the best luck mixing the two. Otherwise, they will be too dense with just the wheat flour. You would typically do about 3/4 cup wheat flour to 1 cup white flour when subbing, so keep that in mind too. Is this asking for an actual sweet potato with white/yellow flesh or a yam? I know we often refer to yams as sweet potatoes so I’m just checking to see which it calls for. Sorry about that. I edited the recipe to make it more clean, but I really mean yams. Still not sure why everyone calls them sweet potatoes. It’s so confusing. What we call yams are really just a variety of sweet potatoes. A true yam is a tubular root vegetable grown in tropical places and is not sweet at all. They aren’t even technically related. I know. You sound like my husband. He always reminds me of that. I never know if I should call them yams or sweet potatoes, cause everyone calls them sweet potatoes even though they really are yams. Thanks for pointing that out. I’ll have to make a point of mentioning that for now on. I made the sweet potato brownies and they turned out perfect and they were absolutely delicious ! My grandbabies loved them too. If you aren’t gluten-free would regular flour work just as well? Actually, spelt isn’t gluten-free. But I’ve only ever made this recipe with spelt flour, but generally you can sub spelt 1:1 for normal flour. Sorry I’m not more help . . .
What about coconut or oat flour instead of spelt? I’ve purchased spelt for this first time making them (they’re cooling as I type this) but I have a few colleagues at work who are gf and I would love to accommodate for them. I only ask about coconut because I have it on-hand! Coconut flour definitely wouldn’t work. Oat flour may, but they would probably be more dense. I haven’t tried it. Your best bet would probably be a gluten-free flour blend. We have egg allergies in our family. Any idea how these might turn out with an egg sub? If so, what sub would you recommend? I haven’t tried a flax seed egg replacement on this recipe, but it would probably work just fine. Please let me know if you try it so others will know. Can these be frozen & defrosted to eat later? I’m not a big freezer person, so I’m going to post this and see if someone else has tried it. If I were to try it, I would freeze just the base and then make the frosting fresh. What size can if you cannot find a medium sweet potato? And should they be cubed in the can? I’m not sure, because I’ve always only used a real sweet potato, but maybe someone else knows the answer to your question? Is there something I could do to make these more of a consistency that a traditional brownie would be when they’re done? Maybe some applesauce? They aren’t bad taste wise, just really dense. First off, don’t overmix them and let them cool all the way before trying to eat them. I like them dense, but if you like them lighter, I’ve had good luck adding an egg. I would love to know if you try these things and you like the changes. Do you think almond flour could sub for the spelt? Absolutely not. Sorry, but almond flour is so, so different from spelt. Sorry about that. That’s a very old pin and I’ve since modified the recipe. However, the spelt could easily be substituted with a basic gluten-free flour.